I drove round to do this but did not set off up to the hill due to a combination of bad weather and pressure to be with my family. There is a tea shop at the bottom of the hill. 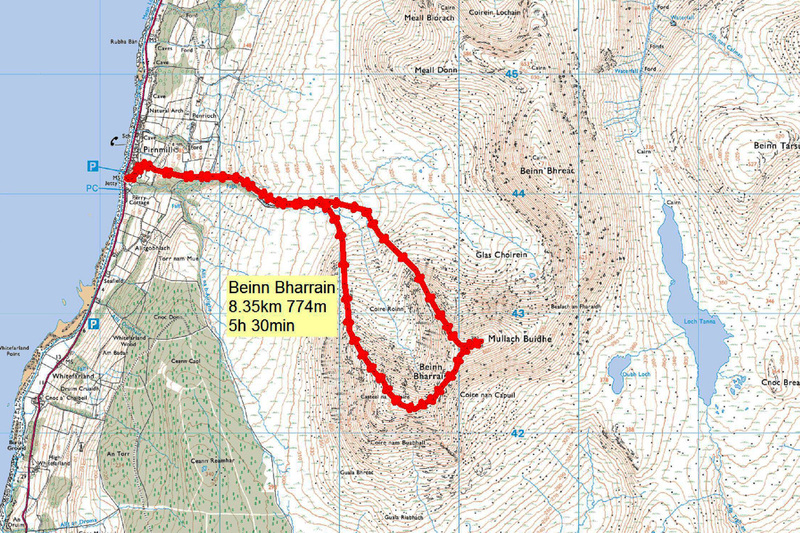 Follow the route clockwise as the NW ridge (to the east of Coire Roinn) involves some scrambling. Maybe one to keep for a nice day, but that is probably true for all hills!! !